Andreas Rimheden, formerly singer of Morticians and Eternity Range, started the project Blippblopporkestern in 2012. He wanted to try writing lyrics in his own native language Swedish for a change and make music inspired by early synthpop of the 80s. He started out with mostly romantic themes but after a while, he also incorporated political messages into his songs, protesting the neo-marxist and globalist views that he felt was driving Sweden in the wrong direction. He was a finalist in the national radio song contest Svensktoppen nasta in 2015 with his song Vinternatt and was invited to perform at Sommarfestivalen, a music festival arranged by the Sweden Democrats party, in 2016 shortly after performing on a political protest event on a town square in Malmo that summer. Two digital albums and one single have been released so far and a third album is on the way. His music has also been featured in the Swedish political videoblog Swebbtv. 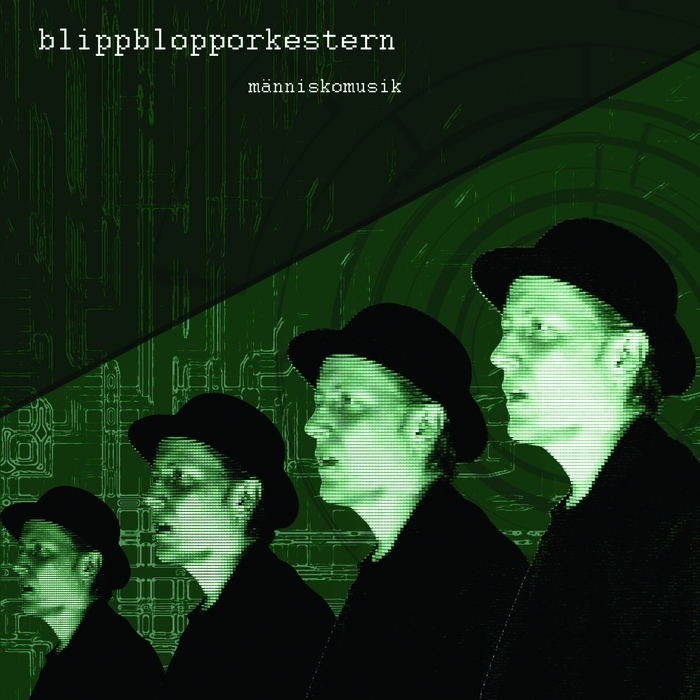 Swedish synthpop act Blippblopporkestern is back with a third album called Manniskomusik (Human music). It mixes influences from early synthpop and computer game music with inspiration from traditional songs and folk music. Andreas Rimheden, the man behind Blippblopporkestern, sees himself as a modern day protest singer. He combines modern electronic sounds with politically traditionalist and individualist values, protesting the current globalist views and identity politics that he feels are destructive and dangerous to society. On this new album, these political standpoints manifest themselves as Orwellian descriptions of what is going on in Sweden in tracks like Maskinen (the Machine) and Sanningsministeriet (Ministry of truth), accompanied by Kraftwerk-esque futuristic sounds. The song Genus is also highly political in its satirical description of the crazy gender studies pseudo science that is forced upon everyone in the Swedish academic world these days, with an aim to eradicate biological genders. The album features songs about other topics as well, such as nerd culture and even a farewell song dedicated to his old dog.